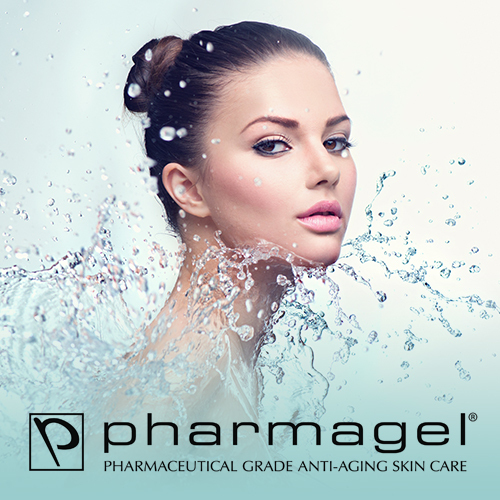 Pharmagel® International Laboratories’ new generation of specialized skin treatments is formulated with pharmaceutical grade ingredients that are remarkably effective and have immediate and lasting results. Rarely seen in cosmetic formulations, Pharmagel’s use of pharmaceutical grade ingredients is one of the most important scientific innovations in the area of skin treatments during the past decade. Additionally, the cosmetic chemists at Pharmagel have developed a special collection of natural herbs and botanicals for the products. These herbs and botanicals are added to Pharmagel’s problem-solving beauty treatments. The products are further fortified with vitamins for fast-acting, anti-aging results. Triple testing during Pharmagel’s blending process of the pharmaceutical grade ingredients, vitamins and botanicals ensures that each product is free of irritants and as pure as possible. With regular use, there will be obvious results in just two weeks!